What I love about Mineral Hygienics makeup is that I can wear it anytime and anywhere. It provides a beautiful natural look. It is never too powdery and even looks brilliant in the sun. I am never worried that my face looks "made up" in the revealing sun light. I am an active person and I used to wash my make up off before working out so I wouldn't have the make up streaks down my face or acne. Mineral Hygienics is so light and natural I don't need to wash my face before working out. I only have to apply the make up in the morning and it is good for the entire day. Mineral Hygienics is a quick and easy way to get the natural look I love. did for my face is air-brushed! As the day wore on, my skin looked even better... somehow the oils in my skin caused the minerals to look great!...not to mention it doesn't rub off on my clothes or tissues at all. I even put it to the test and wore it to the gym.... to my amazement, it stayed in place and continued to give me full coverage even with all my sweat. Im so glad I found Mineral Hygienics. For anyone who has had bad experiences with mineral make-ups and is skeptical....Give it one more shot and try this make-up! There are no lies on this website....this make-up delivers on every promise listed. If I could sell this make-up, I would, I am that PLEASED! I am a former model and have been a makeup artist for over 15 years now. I was a dyed in the wool Bare Minerals client, swore by the stuff for 10 years. I have tried all the other mineral makeups and most did pale in comparison. Then I was invited to try the Mineral Hygienics makeup line. Well, suffice to say, I don't use Bare Minerals anymore. I love Mineral Hygienics line! I have been using it now for about 6 weeks and am quite impressed with the results. I prefer mineral makeup over liquids or cremes because they give a far more natural look to the finished face with less product used and great coverage. The problem with most is that while they give good results, most don't last nearly long enough for my taste. Also sometimes the quality is lacking and the color palettes are weak. nMineral Hygienics line is superior to any other mineral line I have used. The color palette is extensive, here in Hawaii that's important. Most of the other companies have one at the most two tan shades. MH has 5...not everyone tans the same and MH was the first mineral line I have used to recognize that. Also, this makeup lasts very well, even under hot and sometimes humid conditions. The quality is outstanding and very good coverage. I recommend the MH line enthusiastically! It has made a believer of me and the fact that I use it on my clients is the proof of my endorsement. As a makeup artist in film and television I was a little trepidatious about trying a mineral makeup line. In the past, I had tried other mineral makeups and on camera they made my clients look like a shiny mess! When I tried Mineral Hygienics on myself I absolutely loved the way it made my skin feel. Mineral Hygienics made my skin look radiant, healthy, and even toned. I decided to test the foundation out on a client for a music video. We were shooting the video on a high definition red camera and low and behold my client looked amazing! There was very minimal touch ups necessary. Her skin looked flawless and not shiny on camera. Now I know I can trust this product under any circumstance. Whether it be for everyday use or for a 13 hour day in front of the camera. I love this product! I am a makeup artist and product consultant from Ohio that has worked for both conventional and non conventional makeup lines. Very few makeup lines have impressed me, It seemed to me as most makeup companies fell short in one area or another. Mineral Hygienics makeup is unlike any other makeup company I have worked with, their minerals blend so evenly into the skin it makes applying foundation to the client almost effortless, and looks flawless on all complexions. Also the foundation is so pure I myself who have struggled with adult acne, in two weeks time have noticed and incredible difference in my blemished skin by switching to Mineral Hygienics makeup. Unfortunately I have slight scaring from the acne, but thankfully Mineral Hygienics makeup actually covers the scars and leaves my skin flawless and natural looking. Thank you for creating a truly astonishing natural makeup line that offers affordable professional makeup that I can feel confident in wearing and passing on to my clients. Please keep up the amazing work! I have been in the makeup field for 30 years and I have used every makeup line available. 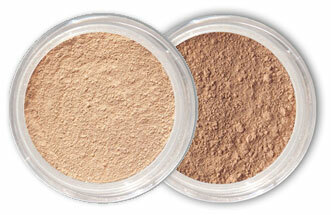 I must say that these mineral powders are fantastic. I myself love the bronzed look and I use the bronzing mineral powders to create a tanned look yet maintaining a very natural look at the same time. Very excellent products! I use it on all my clients! I came across Mineral Hygienics when a client requested that I use her personal makeup on her. In the past I never liked using mineral makeup, but after using Mineral Hygienics on her I was amazed at how natural it looked. It was not "powdery" or "cakeyâ€�, and most importantly - it covered. I use it on myself and on all my clients! I have tried so many different types of makeup and have never been so impressed with a product. My clients look perfect! Iâ€™m getting more referrals. My favorite thing about Mineral Hygienics is that I do not get oily during the day and it stays perfect till the end of the night.